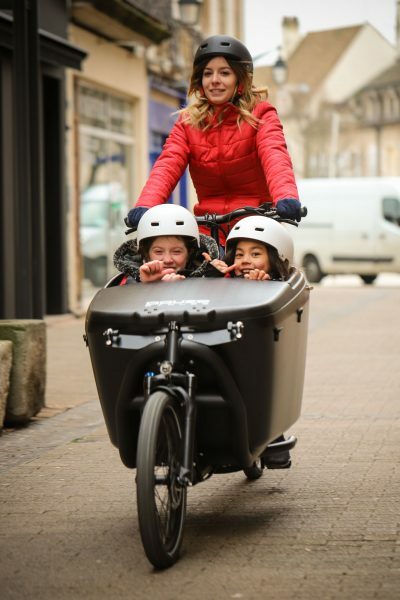 DOUZE Cycles is the French cargo bike specialist. DOUZE V2 cargo bikes are renowned for their stylish design and their numerous qualities such as manoeuvrability, easy steering, a quick release system and their modularity. 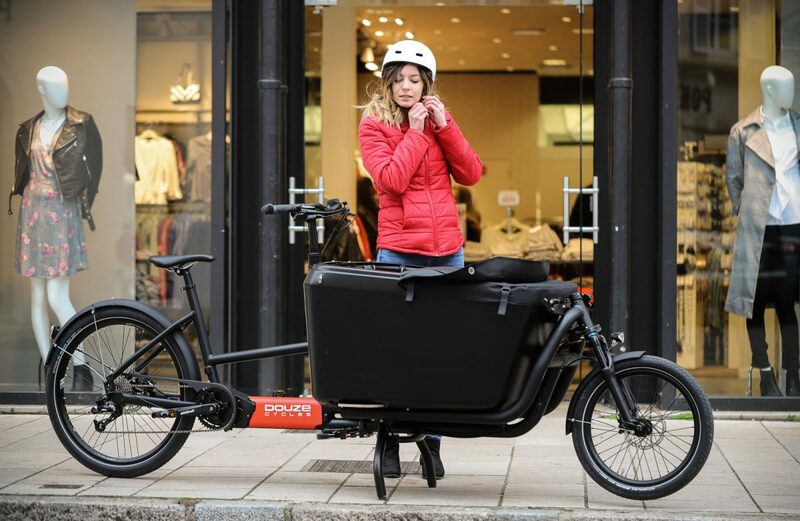 After two years of R&D, DOUZE Cycles launches a new model: the DOUZE G4 an all in one cargo bike with electric assist. Two different types of frames will be available: the sporty G4 MESSENGER and the easy access G4 TRAVELLER. DOUZE G4 is equipped with a large, elegant, multifunction box made of ABS shockproof plastic with a capacity of 270 litres. Different types of lockable covers are available according to the need of the users. DOUZE G4 comes with a BROSE 250W motor. The new generation batteries (635Wh, possibility of 2 x 635Wh) for longer drive are integrated in the box. BROSE motors are renowned for their natural ride sensation. The nearly silent motor assists up to 25 km/h with no pedal resistance once the speed exceeds 25 km/h. In corporation with DOUZE Cycles BROSE has developed a special cargo bike interface to optimize the power when heavily loaded. 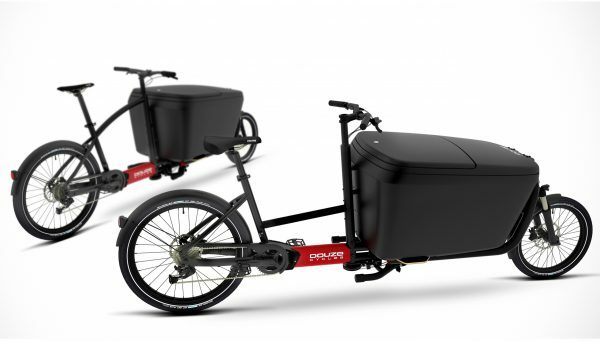 DOUZE G4 is the cargo bike with the largest range on the market. DOUZE G4 stays tuned in the typical DOUZE Cycles design. It offers a real alternative to cars in the cities – an important step towards green mobility.